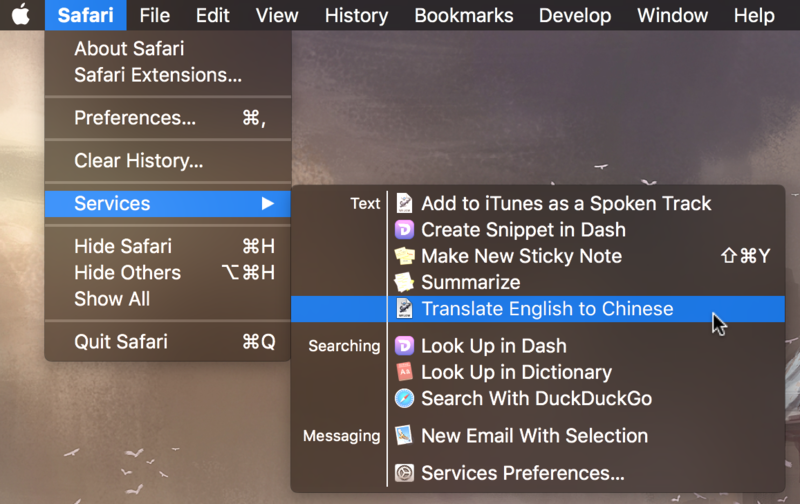 Is it possible to bind my Mac OSX Dictionary.app to Google Translate? The Dictionary App has a very cool experience on MacOSX. But I have to install dictionaries to use. 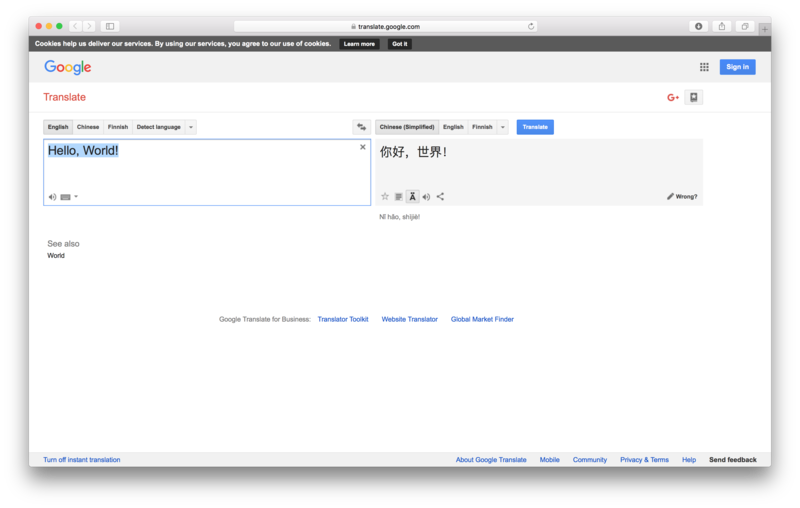 Is it possible to bind it to Google Translate? Unfortunately it doesn't appear to be possible, or at least straightforward. 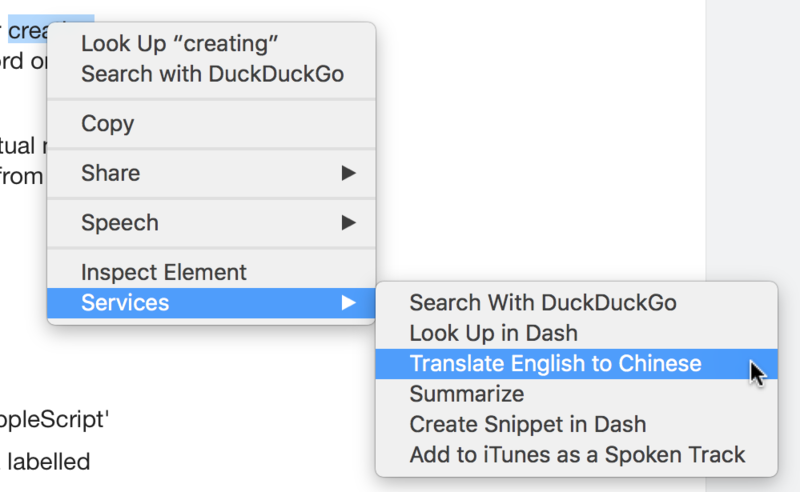 As an alternative, you may want to consider creating an OS X Service that opens Google Translate in a browser window, for any highlighted word or phrase you have selected. Change one or more of these to achieve the desired translation. To find the correct language parameters, refer to the Language Reference. In the example above en refers to English, and zh-CN to Chinese (Simplified). After making your changes, click File > Save... and in the panel that appears type a suitable name (e.g. Translate English to Chinese). Not the answer you're looking for? Browse other questions tagged dictionary . 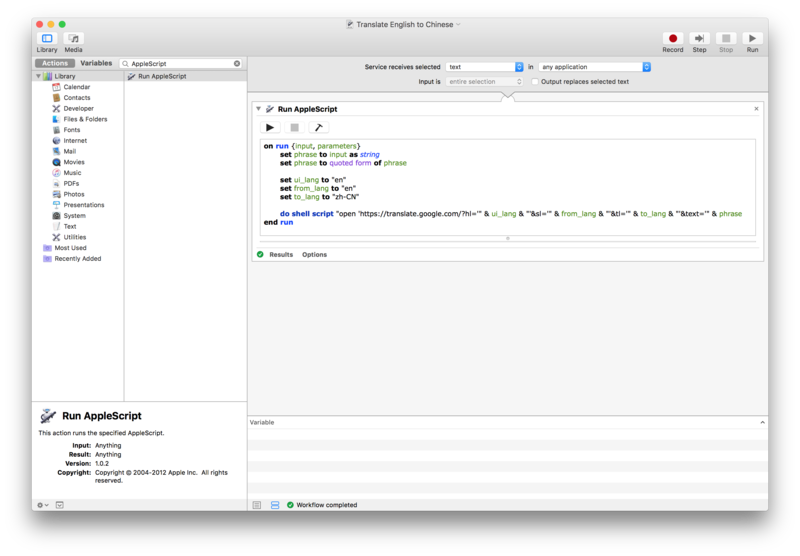 Is there any way to seamlessly translate a mail inside Mail.app? Is there any way to translate words in Safari on iOS and Mac? How can I add an Old English dictionary to Dictionary?